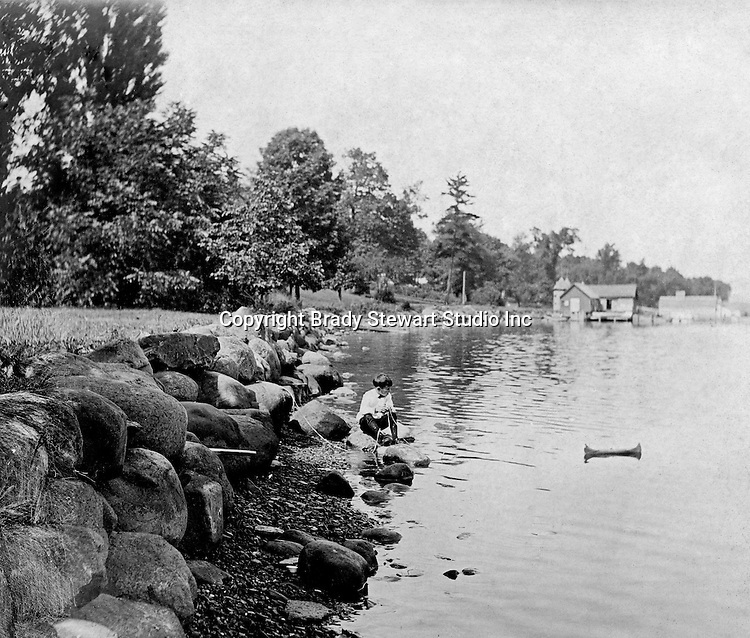 Lakewood NY: Young boy kneeling on the shore and playing with his toy canoe on Lake Chautauqua - 1901. Photographs taken during a church field trip to Chautauqua Institution in New York (Lake Chautauqua). The Stewart family and friends visited Chautauqua during 1901 to hear Stewart relative, Dr. S.H. Clark speak at the institute. Alice Brady Stewart chaperoned and Brady Stewart came along to photograph the trip. The Gallery provides a glimpse of how the privileged and church faithful spent summers at Lake Chautauqua at the turn of the century.